Violet Winspear was born on April 28, 1928 in England and died at thebeginning of 1989. Violet debued with the imprint in 1961 with the title Lucifer's Angel, thefirst of many "dark and dangerous" titles associated with her work. Shecaused a big controversy in 1970, when she claimed her heroes should"frighten and fascinate. They must be the sort of men who are capable ofrape". This comment caused uproar and lead to her receiving hate mail. 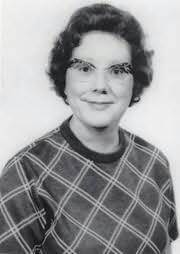 In1973, she became a launch author for the new Harlequin Presents line ofcategory romance novels. Harlequin Presents books were more sensual than theprevious line, Harlequin Romance, under which Winspear had been published.She was chosen to be a launch author because she, along with Anne Mather andAnne Hampson were the most popular and prolific of Harlequin's authors. Sheis considered a legend in the romance community and influenced many authors,including Muriel Jensen, Jane Porter, Trish Morey and Sandra Marton. Shealso inspired to her nephew Jonathan Winspear to write.